Center bearings, or carrier bearings, are intermediate bearing assemblies, found in four wheel drive and front-engine, rear-wheel-drive vehicles, connecting the front and rear drive shafts. As such, center bearings are more commonly found in SUVs and trucks instead of cars. While they are usually frame mounted and may only be used to keep the drive shaft from wiggling, center bearings become crucial when there is a large angle between the transmission and the rear differential, as this makes the use of one-piece drive shaft near impossible due to risks of breaking under massive strain. A faulty or worn center bearing will generate vibrations that you can easily feel while driving, and may increase gear noise along the way. CMX’s wide range high quality, long-lasting center bearings keep the drive shafts of vehicles firmly in place, allowing the drive shafts to function properly and giving you a pleasant driving experience, by not having to feel vibrations coming right under your seat. Indeed, a bearing is just a simple, round object that’s attached to most of the modern equipment we enjoy today. What’s mostly forgotten about it is the stability it provides to almost everything. This portion will focus on your car’s centre bearing? 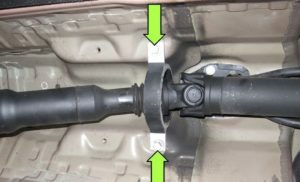 Its function, types, and important details you should know if already you need to replace that part. Where exactly is the center bearing located and how does it work? The center bearing is located underneath your car, and fitted around the drive shaft. If you still can’t determine where the drive shaft is, it’s that long, rotating tube right in the middle. Since the drive shaft rotates frequently, the center bearing supports it and keeps it in its axis. Just imagine what would happen if the drive shaft spins out of control, it’s dangerous, right? That’s how important the center bearing is, especially to long vehicles. 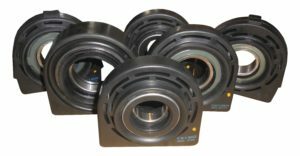 What are the types of bearings? There are so many types of bearings in available today. Most of them are designed specifically to the type of load, or the speed of the shaft. The items below are the types of bearings that you’ll find in your car, and in some daily equipment. The ball thrust bearing is designed for minimum for slow-moving and light radial loads. 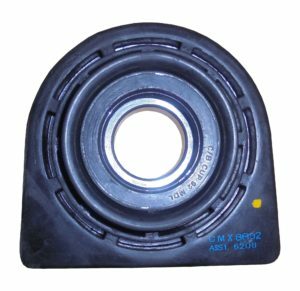 This type of bearing is used for heavy radial loads like conveyor belt rollers. The roller bearing is designed with little cylinders inside instead of balls. Applicable for heavy thrust loads, roller thrust bearing supports gear sets in a car’s transmission system, and rotating shafts. The tapered roller bearing has the ability to support large loads mostly for car hubs to handle load in different directions. Climax Overseas as CMX Group of Comanies is an ISO/TS 16949 certified company serving more than a 100 OEM customers in 51 countries over 5 continents, producing more than 124 million components annually, spread over 4 plants with a strong team of over 350 people. We are primarily in Rubber, Plastic, Polyurethane and Sheet Metal components space and specialise in Suspension Bushings, Oil Seals, Gaskets, Grommets, Anti Vibration Pads etc . Currently we serve the Automotive, Railway, Power T&D, White Goods, Food Processing, Aerospace and Defence Industries. Contact Us for Business opportunity. Next Next post: Purpose of Motor Mounts in a Vehicle?